Present state: Demolished - no evidence of the station remains although a derelict timber building in the goods yard survives, this was a coal merchants store. 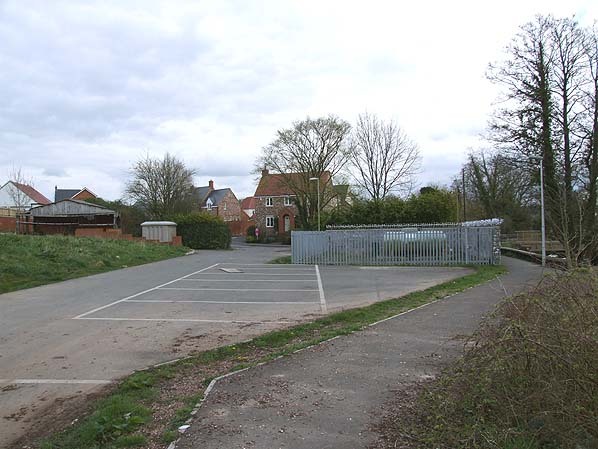 At the time of writing the station and goods yard site has not been redeveloped. Notes: In an attempt to attract more tourists a refreshment room was opened in 1878. The tourists didn't arrive and the refreshment room was quickly closed becoming a carriage shed, village club room and then a poultry store. 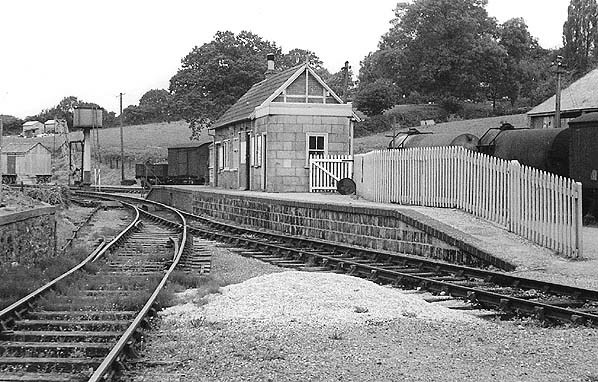 As built, Hemyock Station had a loop with two sidings, one serving a cattle dock on the south side of the station and the other running behind the station, two further sidings served a goods shed and an engine shed. There was no signal box with a ground frame controlling the access to the goods yard sited on the approach to the station on the south side of the line. 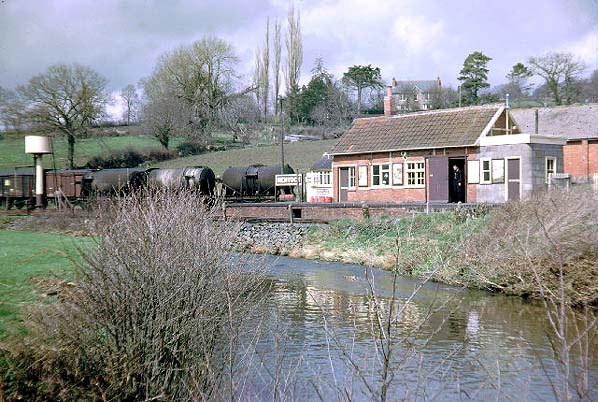 In c.1932 Hemyock Station was given a major refurbishment with improved facilities. 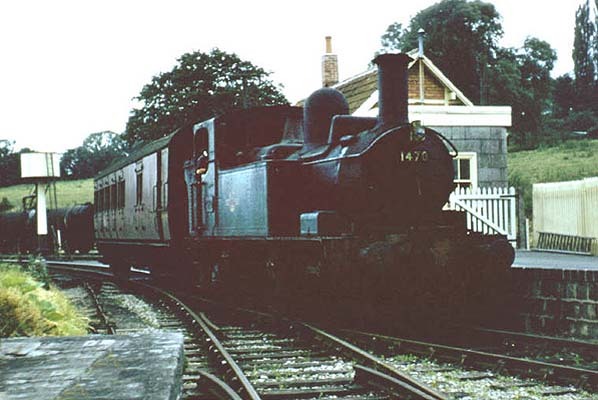 At this time the original gods shed and engine shed were demolished and the sidings removed. 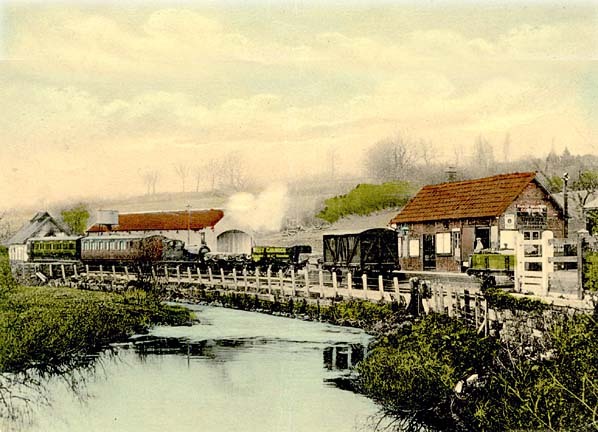 The siding serving the cattle dock was extended over a crossing into the dairy and a second siding to the north of the station was also extended into the dairy. 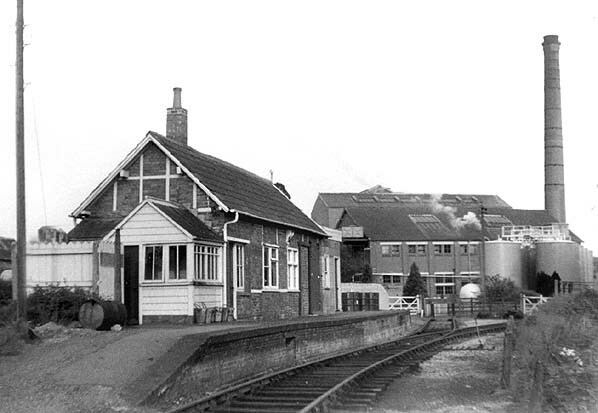 After closure to passengers the station remained open for general freight traffic until 6th September 1965, after that date a private siding remained in use to serve the dairy until 1st November 1975.
same time, they also considered ways of increasing revenue including an extension eastwards making Hemyock a link in a cross country route between the fashionable resorts of north-east Devon and Dorset; this didn't materialise. so the line closed without ceremony. 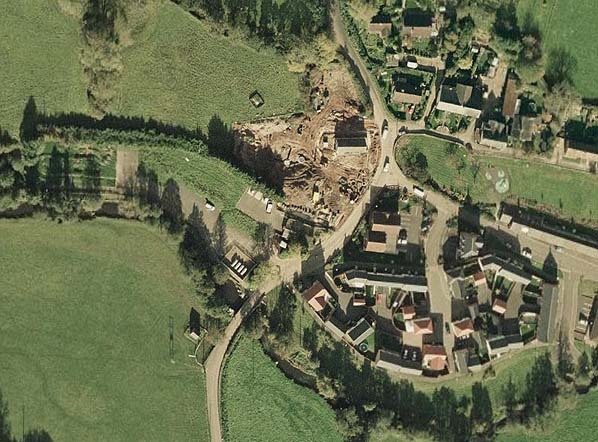 The line was quickly abandoned during the construction of the M5 just west of Tiverton Junction when an arch that was being built to allow the line to pass under the motorway was filled in removing any chance of the line ever reopening. Looking east at the site of Hemyock Station in April 2008. The dairy on the far side of the road has been demolished and replaced by housing. The only building with a railway connection is the derelict coal merchants store visible on the left. Aerial view showing the site of Hemyock Station which was sited where the fuel tanks stand in a rectangular compound on the left side of the road.